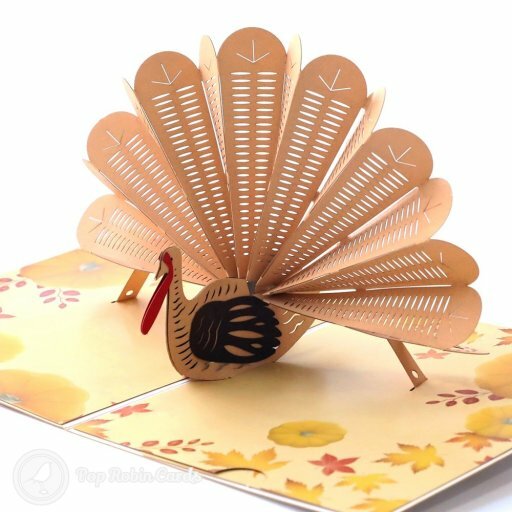 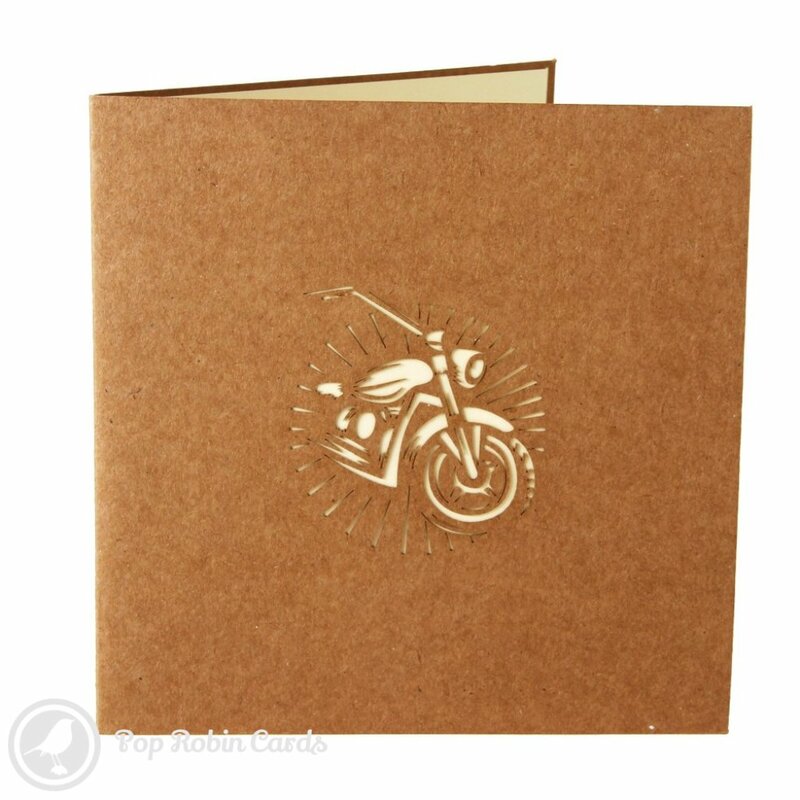 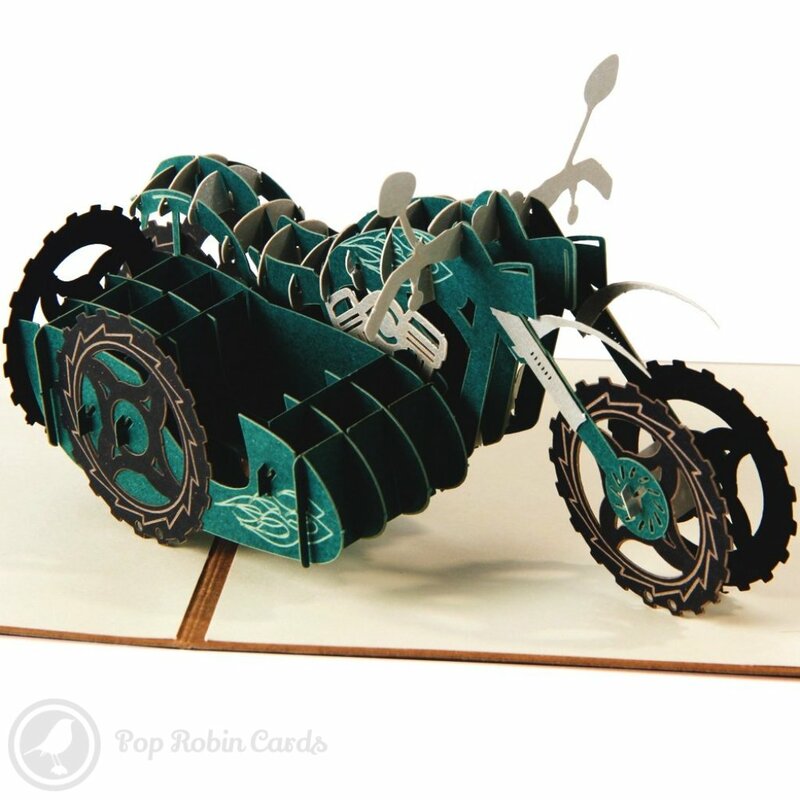 This awesome greetings card opens to reveal a 3D pop-up motorbike complete with a sidecar. 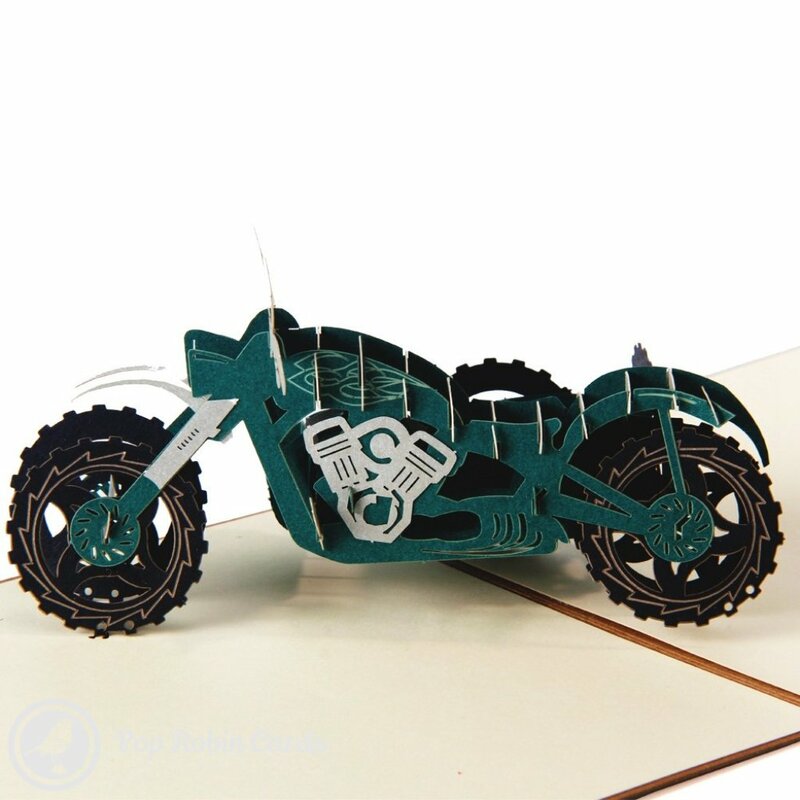 The engine, treads and handlebars are all shown in detail, and the motorbike appears on the cover in a stencil design. 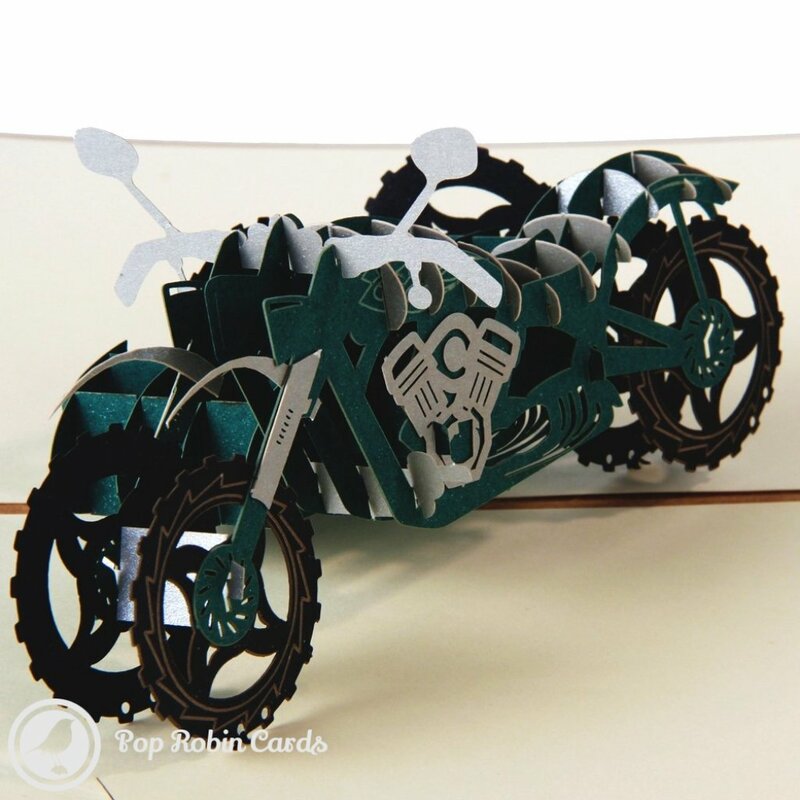 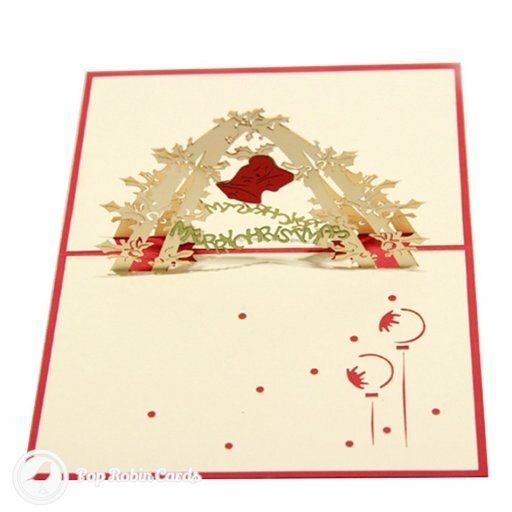 This card is sure to impress any biker or motorbike fan.